Have you debated whether or not to invest in a book blog tour? As the author of three books in five years, I went back and forth on it. I listened to authors who urged “invest in your book" and said, “I want to give my 'baby' every chance to succeed." Others admitted it was a lot of work, but in the end, it helped them hone their marketing message. 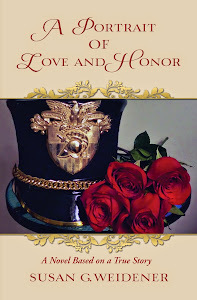 My decision was based on how best to try and get the word out to a targeted audience about my novel, A Portrait of Love and Honor, as well as promote my memoirs. All three books comprise a trilogy. So I took the plunge on a virtual tour, assuming, too, that many who had read my memoirs would be interested in the novel. The first question I asked the blog tour organization: Can you provide me with any statistics on whether book sales increase due to a tour? I hired Women on Writing (WOW!) a blogging tour service I had become familiar with after hosting authors of memoir and fiction who used them for their tours. My targeted audience - widowed people between the ages of 40 and 65; and people who served in the military. One blog stop was on a site written by a widow. And while I was assured they could find blogger/book reviewers in the service, I suggested the stop where military members might read about my novel. No other stops targeting that audience materialized. My main criticism: Blog tour managers need to vet bloggers before they schedule your tour. It tends to be a very small circle of people who are blogging and hosting bloggers through this tour service. Like any small circle, some are very professional, some not so much, One blogger who actually does PR for WOW! let us know at the 11th hour that she had “criticisms” about my novel. My blog tour manager was “puzzled” by her reaction. I had my theory on what happened. We let it go and found another stop. Another blogger agreed to be part of my tour. Despite several emails trying to firm things up, she never got back to us with a date to run my post. Since I had already written the post, we quickly found another stop. Despite those "hiccups", most of the bloggers were fabulous: their sites are appealing. They showcase your interview or guest post making it readable and eye-catching. I thank all of them. And I hope to return the favor when their books come out. Be creative. Offer readers more than a 'buy my book'' tour. 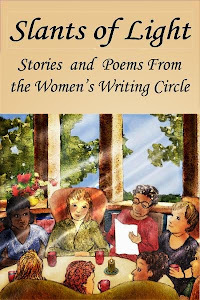 My goal: to offer writing tips and other information that complements my work with the Women's Writing Circle and women finding voice through writing. Repurpose some of your blog posts. You don’t have to invent the wheel all over again. I added to, enhanced, or offered new information on each of my repurposed posts, which on average ran 500 words. Write about the 'story behind the story' which is what I did with this post, “a romance not in standard form". I also discussed that in my Muffin interview. Some bloggers offered space for excerpts from the novel. This is an added plus. Provide your own photographs tailored to each site. I began doing this mid-way through the tour. For a post on writing groups I sent my own photo of a candle holder we use in the Women’s Writing Circle. 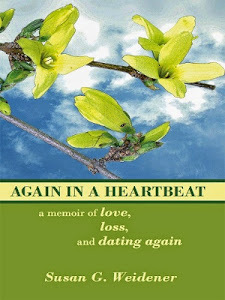 I received one review of my book from this blogger. And this one from another. Fantastic! We offered one giveaway through the Rafflecopter on the Muffin interview. I agreed to offer ebooks or PDFs for review to each blogger, but no takers. Would I do it again? The exposure resulted in more followers on Twitter and the Women’s Writing Circle Facebook page. The time supposedly freed up for writing was spent in writing the blog posts, not on new creative writing. It's a luxury having a marketing professional pitch your work. The blog tour was an experiment . . . an adventure. I owed it to myself to invest in my books. It would have been more "fun" had sales been less disappointing. Who knows? Perhaps,someone will run across a post on the Internet and take a chance on my books. In the end, each author has to decide whether sales, reviews, or exposure is most important. I'm giving the whole book blog tour experience a little more time to percolate . . .was the tour 'worth' it? The jury's still out. Love to hear your thoughts or comments about book blog tours. Have you tried one, or are you considering it? 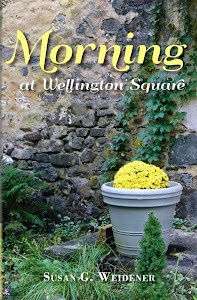 Labels: A Portrait of Love and Honor, Again in a Heartbeat, blog tours, book marketing, Morning at Wellington Square, social media, Women's Writing Circle, WOW!